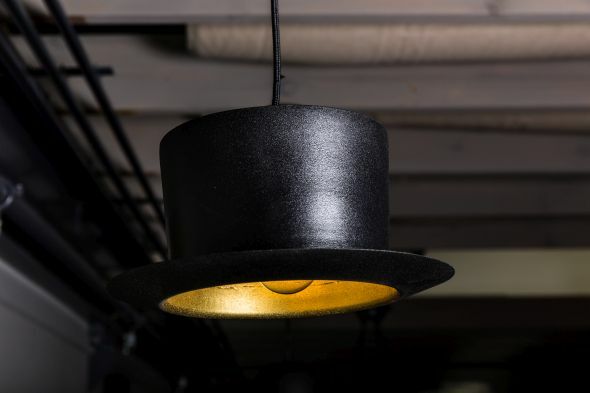 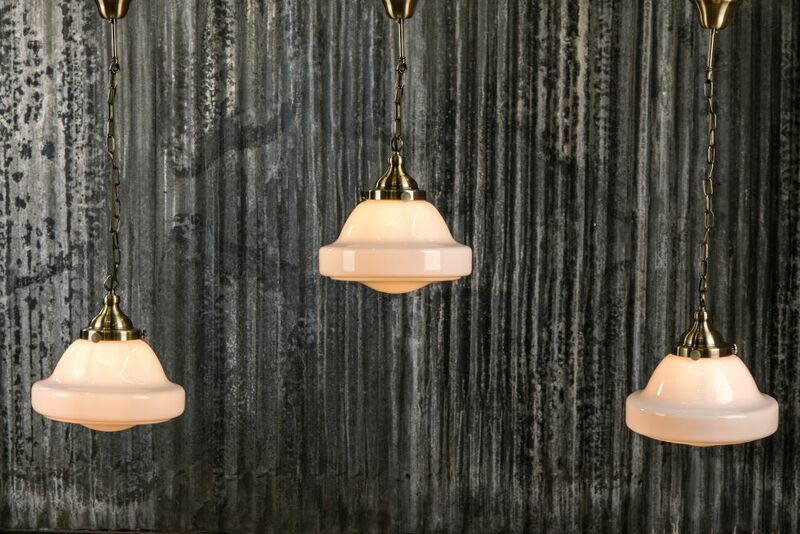 This schoolhouse pendant light is a stunning replica of a traditional 1920s design. 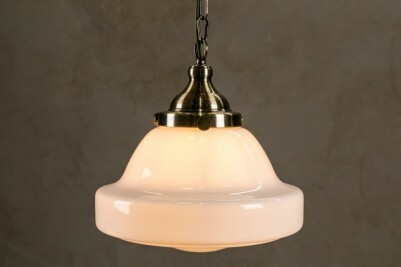 The translucent opaline shade casts soft light over a wide area. The opaline glass shade is a bell shape, typical of Art Deco church pendant lights. 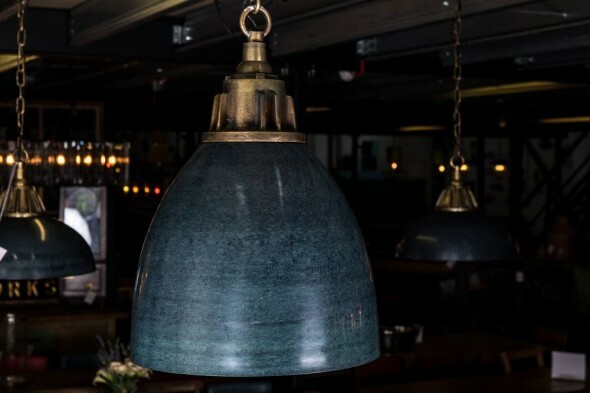 While commonly used in kitchens and bathrooms, the lights would look fantastic in a traditional pub or bar setting. 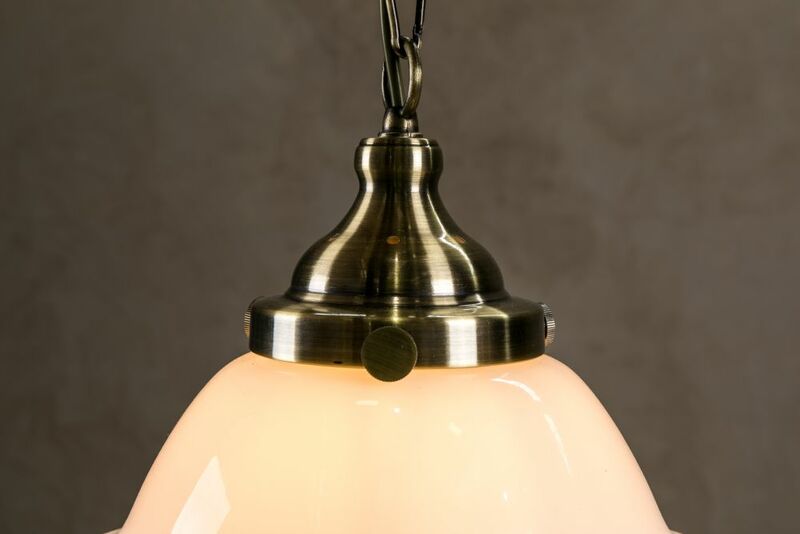 The brushed brass fitting is an update on the classic gold fitting and provides a modern twist to the lights, making them ideal for a quirky vintage inspired space. Please note that bulbs are not included in this listing. 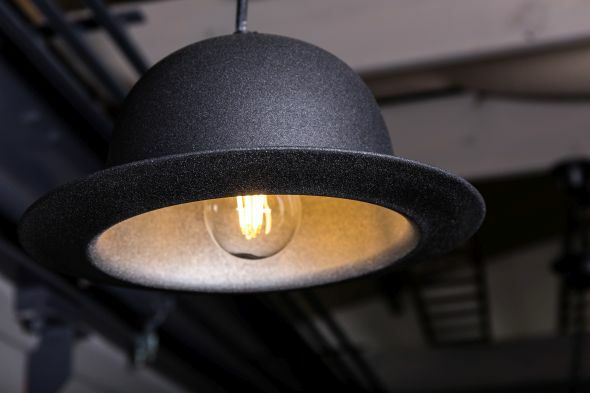 Each light takes 1 x E27 bulb. 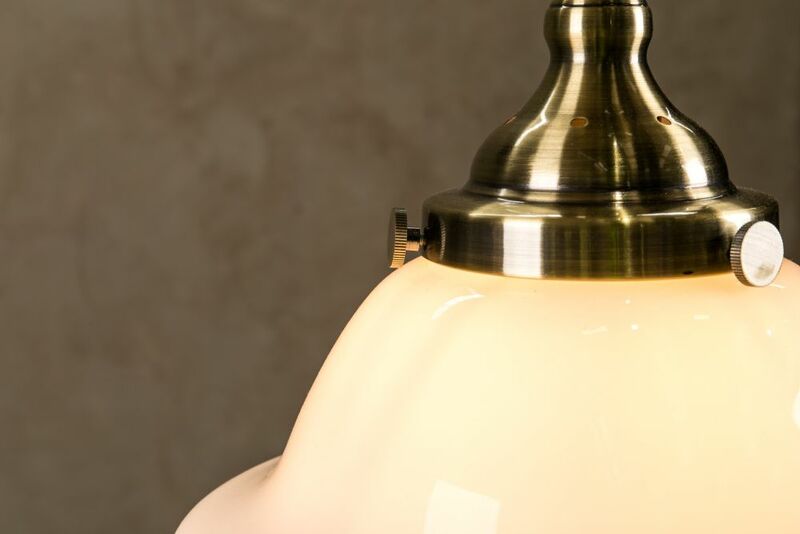 We recommend that you get this light fitted by a professional electrician. 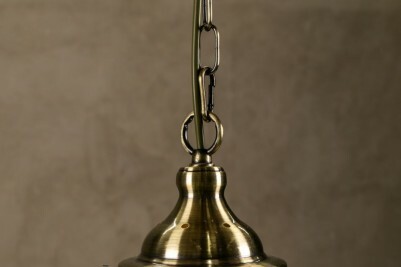 The chain length of this light is 60cm. 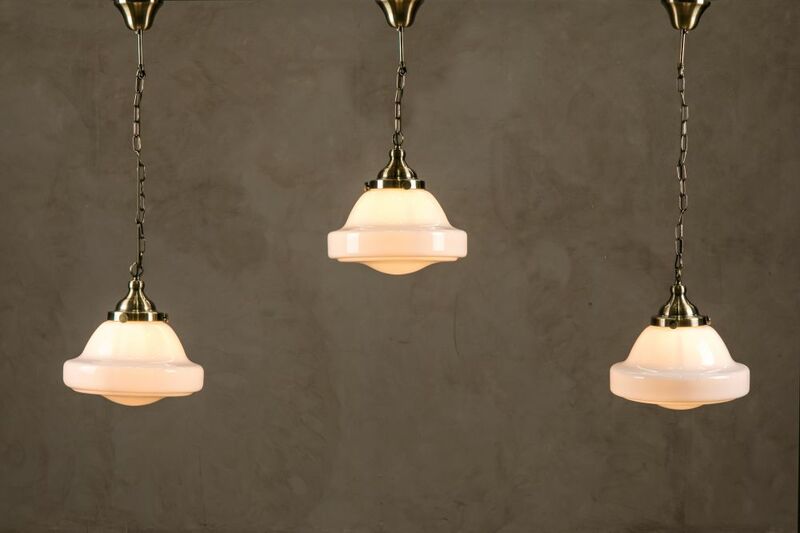 The glass shades on these lights will vary slightly in weight as they are hand-blown. 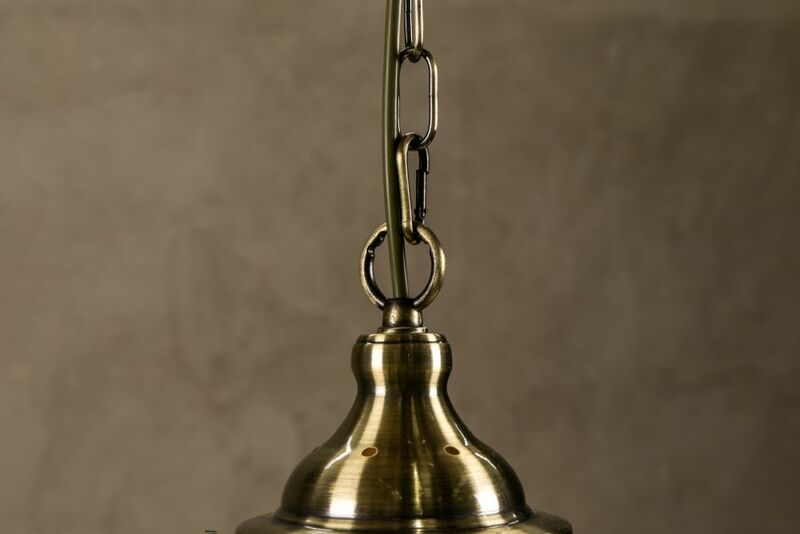 To allow your shade to hang level, the chain can be moved between the notches on the loop at the top of the light fitting to best balance the weight. Please ensure that the weight of the shade is resting on the chain and not on the cable for the light to hang correctly.